This entry was posted in Lyrics, Pictures and tagged blurred, climb, counting, fight, find, hanging, high, hills, Jesus & You, line, lost, lyric edit, lyrics, Matthew West, miles, my edit, picture, right, seeing, sense, steep, strong, thread, truth, weak, world, wrong. This entry was posted in inspiration, Pictures and tagged God, inspiration, keeping, my edit, not, picture, protecting, reminder, truth. This was created by Nicki Koziarz, the author of Why Me? Proverbs 31 Ministries is starting an Online Bible Study over the book today. The study goes from April 9-May 18. You can sign up here. Here’s the blurb for the book and the focus of the study: Nicki Koziarz uncovers six truths we need to hear when trying to measure up leaves you falling behind. Because truth, like always, will set us free. And free women don’t have to measure up to anybody. Not even her. Ladies, I’m betting you need this truth in your life. Guys, tell your girlfriend, wife, mom, sister, or any other woman in your life. This entry was posted in Devotions, inspiration, Other, Pictures and tagged book, care, comparison, free, link, Nicki Koziarz, online Bible study, picture, Proverbs 31 Ministries, soul, today, truth, ways, Why Her, women. This entry was posted in Other and tagged Christ, confident, funny, phone case, truth. This entry was posted in inspiration, Pictures, Quotes and tagged admit, attracted, desperate, Fresh Wind Fresh Fire, God, honest, humble, Jim Cymbala, my edit, need, quote, resist, truth, weakness. 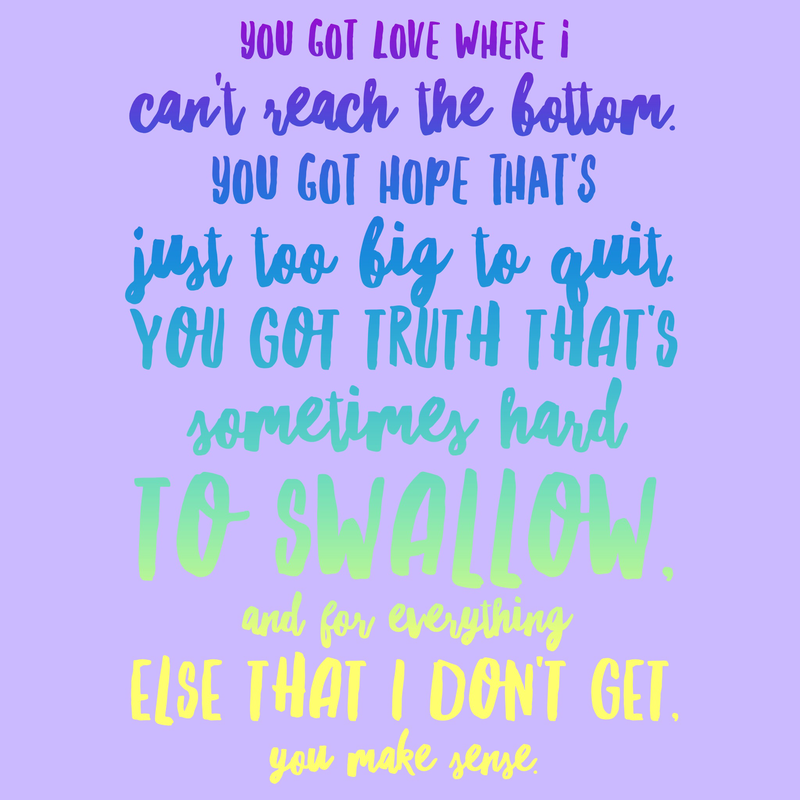 This entry was posted in Lyrics, Other, Pictures and tagged don't get, God, hope, love, lyric edit, lyrics, Micah Tyler, my edit, truth, You Make Sense. 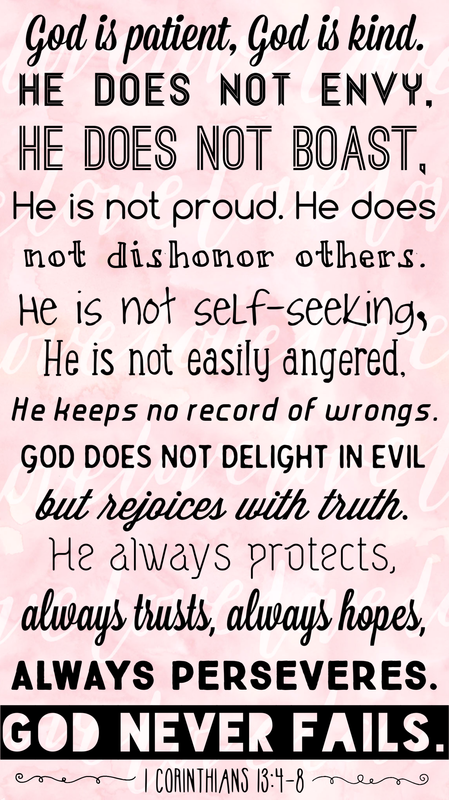 This entry was posted in Pictures, verses and tagged 1 Corinthians 13:4-8, angered, boast, characteristics, dishonor, envy, evil, God, hopes, kind, love, my edit, never fails, patient, perseveres, protects, proud, qualities, record of wrongs, self-seeking, trusts, truth.